We're so excited! It’s our OCTOBER RELEASE Day at KRAFTIN' KIMMIE STAMPS!! And we’re celebrating with a KRAFTY HOP!! So grab yourself a cuppa joe, sit back and be prepared for some krafty eye kandy! We're going to inspire your creations with our new stamps and MORE! Over the last few days in our Krafty Peeks, we have shared lots of AMAZING new stamps from all our artists for our October/Winter release! We’ve got something for everyone!! We’ve got TWO sweet new sets featuring our favourite kiddos from Cheryl……HAVE AN ICE DAY! and YOU'RE SO COOL! And we have TWO new setS of fun winter birdies and kiddos from Thais Narciso called...... I'M SNOW HAPPY and YOU'RE SO TWEET! and also artist Rachelle Anne Miller has FOUR awesome new stamps we'll call the CUDDLE UP Collcection! Eeeee!! I used Snow Wonder on my Hop Card. Rachelle's images are "snow" much fun! Not only do we have amazing new rubber stamps for all your winter creations.....but we've made your creating even EASIER with our *exclusive* new KRAFTY KARDMAKING KITS!!! We've designed our OCTOBER KARDMAKING KIT specifically with super cool cards and tags in mind! And we've also got ADD ON packages, in case you want MORE of the goodies found in your kits! Not only that but if you order the October kit, you'll receive 15% off the August OR September kit when you order at the same time!! 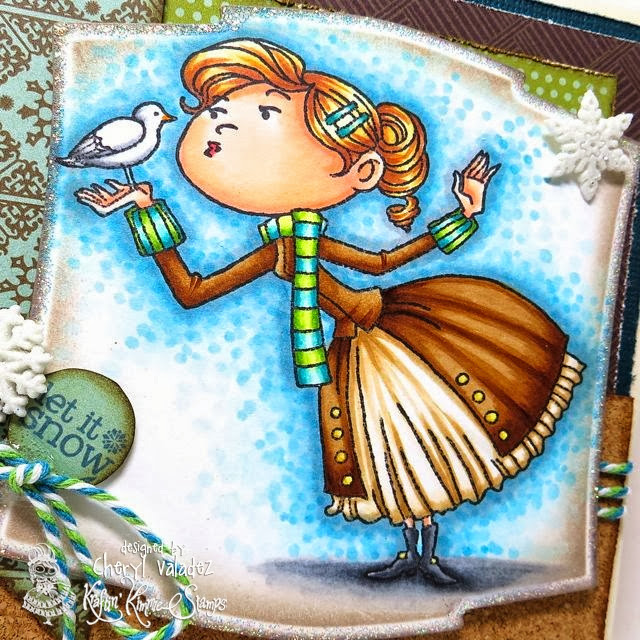 My card features Clara and you can chose Clara as your $8 stamp when you purchase this kit. You will get to see ALL of the new images today as you sit back and enjoy our OCTOBER Krafty Hop! As you hop from blog to blog, be sure to leave a comment at each and every stop because some lucky stampers will win packages of these incredible stamps from the new release!! And when you’re done hoppin’, be sure to head over to the Kraftin’Kimmie shop, because ALL the new images are available NOW! I love how you have used dots of color around the images. 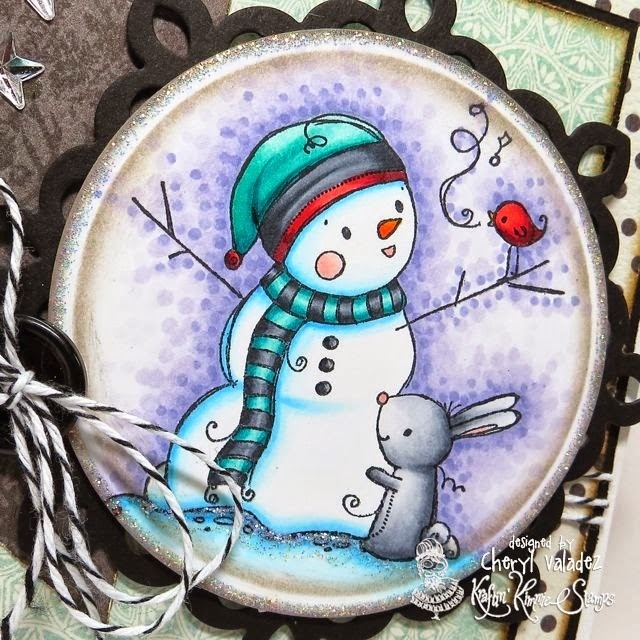 The purple around the snowman is stunning! Gorgeous, gorgeous and gorgeous! Love how you've used non-traditional colors for both cards and how you've highlighted the images- gotta try that! both cards are awesome...love the colors and design on each! Gorgeous cards! I love your coloring and your papers are so pretty. LOVE Them! the colour choices and paper selction are awesome!